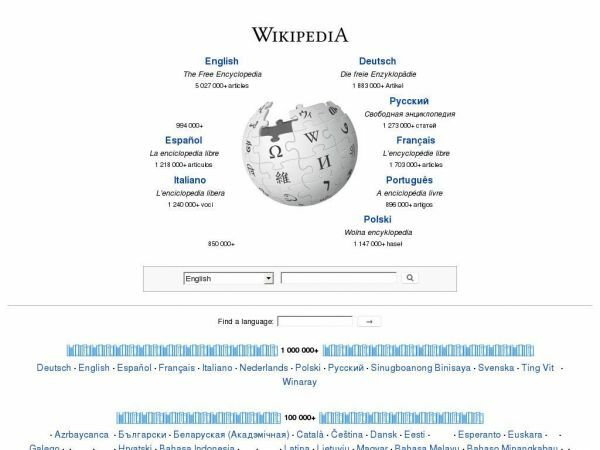 How much is wikipedia.org worth? Your server IP(91.198.174.192) is not blacklisted. Domain Name: WIKIPEDIA.ORG Domain ID: D51687756-LROR WHOIS Server: Referral URL: http://www.markmonitor.com Updated Date: 2015-12-12T10:16:19Z Creation Date: 2001-01-13T00:12:14Z Registry Expiry Date: 2023-01-13T00:12:14Z Sponsoring Registrar: MarkMonitor Inc. Sponsoring Registrar IANA ID: 292 Domain Status: clientDeleteProhibited https://www.icann.org/epp#clientDeleteProhibited Domain Status: clientTransferProhibited https://www.icann.org/epp#clientTransferProhibited Domain Status: clientUpdateProhibited https://www.icann.org/epp#clientUpdateProhibited Registrant ID: mmr-116560 Registrant Name: Domain Admin Registrant Organization: Wikimedia Foundation, Inc. Registrant Street: 149 New Montgomery Street Registrant Street: Third Floor Registrant City: San Francisco Registrant State/Province: CA Registrant Postal Code: 94105 Registrant Country: US Registrant Phone: +1.4158396885 Registrant Phone Ext: Registrant Fax: +1.4158820495 Registrant Fax Ext: Registrant Email: dns-admin@wikimedia.org Admin ID: mmr-116560 Admin Name: Domain Admin Admin Organization: Wikimedia Foundation, Inc. Admin Street: 149 New Montgomery Street Admin Street: Third Floor Admin City: San Francisco Admin State/Province: CA Admin Postal Code: 94105 Admin Country: US Admin Phone: +1.4158396885 Admin Phone Ext: Admin Fax: +1.4158820495 Admin Fax Ext: Admin Email: dns-admin@wikimedia.org Tech ID: mmr-116560 Tech Name: Domain Admin Tech Organization: Wikimedia Foundation, Inc. Tech Street: 149 New Montgomery Street Tech Street: Third Floor Tech City: San Francisco Tech State/Province: CA Tech Postal Code: 94105 Tech Country: US Tech Phone: +1.4158396885 Tech Phone Ext: Tech Fax: +1.4158820495 Tech Fax Ext: Tech Email: dns-admin@wikimedia.org Name Server: NS0.WIKIMEDIA.ORG Name Server: NS1.WIKIMEDIA.ORG Name Server: NS2.WIKIMEDIA.ORG DNSSEC: unsigned >>> Last update of WHOIS database: 2016-02-26T16:34:22Z <<< "For more information on Whois status codes, please visit https://icann.org/epp" Access to Public Interest Registry WHOIS information is provided to assist persons in determining the contents of a domain name registration record in the Public Interest Registry registry database. The data in this record is provided by Public Interest Registry for informational purposes only, and Public Interest Registry does not guarantee its accuracy. This service is intended only for query-based access. You agree that you will use this data only for lawful purposes and that, under no circumstances will you use this data to(a) allow, enable, or otherwise support the transmission by e-mail, telephone, or facsimile of mass unsolicited, commercial advertising or solicitations to entities other than the data recipient's own existing customers; or (b) enable high volume, automated, electronic processes that send queries or data to the systems of Registry Operator, a Registrar, or Afilias except as reasonably necessary to register domain names or modify existing registrations. All rights reserved. Public Interest Registry reserves the right to modify these terms at any time. By submitting this query, you agree to abide by this policy.